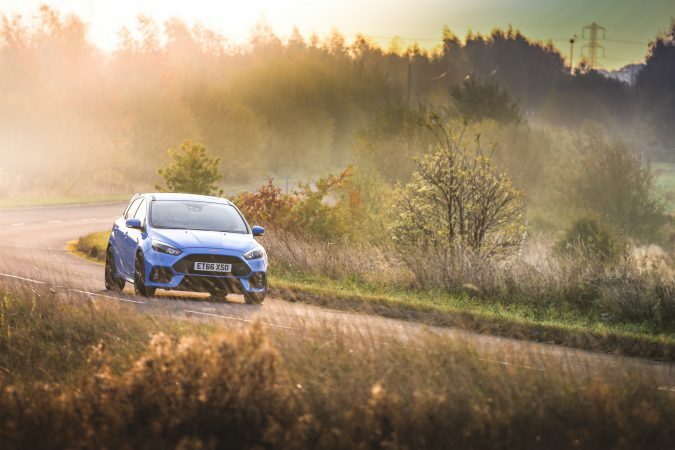 I spent some time with the Ford Focus RS and learned a few things about it. So, straight to the point, the first thing to talk about the RS is that it looks great, way better than the Golf R or any German rival hot hatch. It doesn’t look like a Transformer, as the Honda Civic Type R does, but it’s as stylish as Renaultsport Megane 275 Cup-S. There is only one RS more powerful than this one and it is the RS Mountune, available in Europe, 20 PS more powerful. 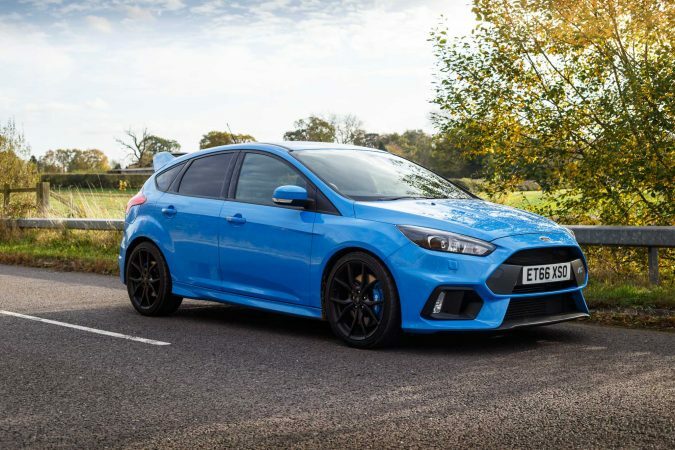 The side air intakes and huge grille is clearly the boldest and largest one among its rival hot-hatches – it looks intimidating as well, and has the purpose of improving the cooling. The upper one cools down the radiator and the lower one cools down the inter-cooler. Plus, the lateral air inlets are there to prevent the brakes from overheating. The large front splitter isn’t just for aesthetics. It helps to keep the car on the ground, allowing the front tyres to get more grip. The side skirts blend in to maximise the downforce along with the splitter. 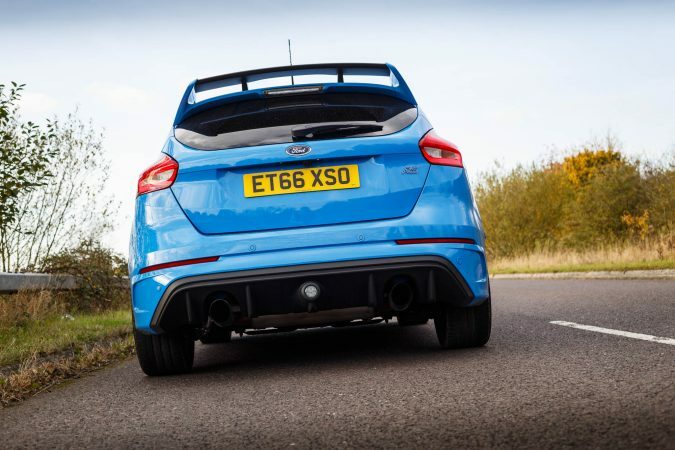 The diffuser on the rear is not only home to the two giant exhaust pipes; it also improves the car stability. Plus, the rear wing spoils up the airflow to reduce lift. To sum the exterior up, you get the blue RS logo on the front too; in fact, you’ll find the RS logo everywhere on this car. 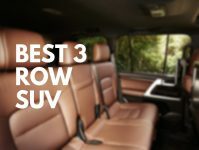 The interior has a well-built quality, with soft-touch material. 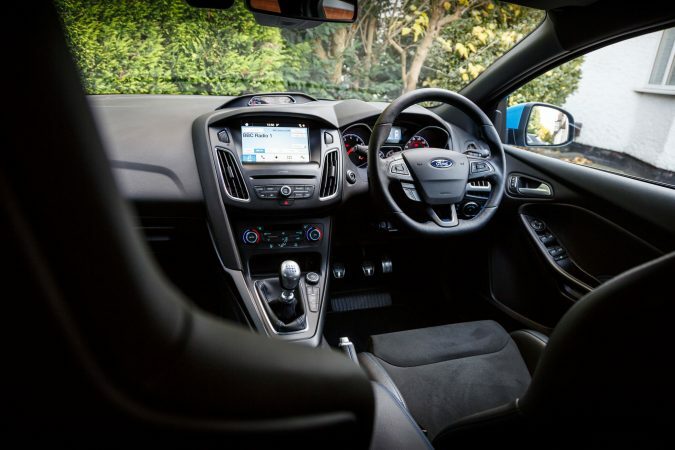 It looks like the standard Ford Focus, except for the part-leather Recaro bucket seats, with blue stitching and a 3 gauge pack on the dashboard, which I think is cool. Everything is black and grey inside, very sober. The buttons are also easy to reach. 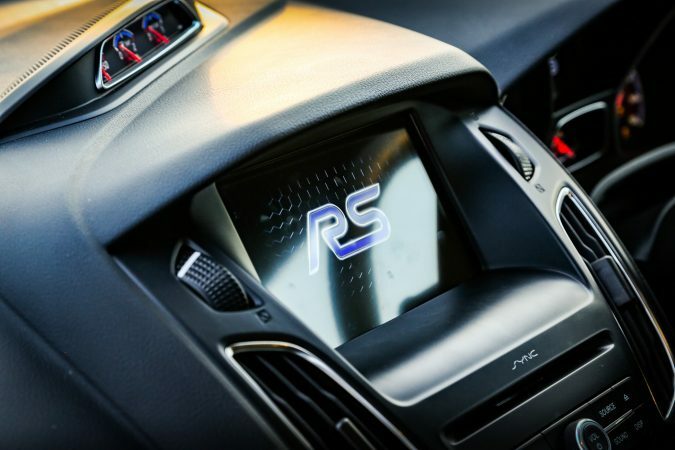 The 2017 Ford Focus RS comes with the 8″ touchscreen Ford’s Sync 3 infotainment system that features voice recognition, and is compatible with Apple Car Play and Android Auto. It actually works well, no glitches and it’s fast. It’s not that pretty, but it’s not too shiny to the point that steals the driver’s attention. The instrument cluster is plain blue, with a small screen in the middle. Overall, it’s easy to read. 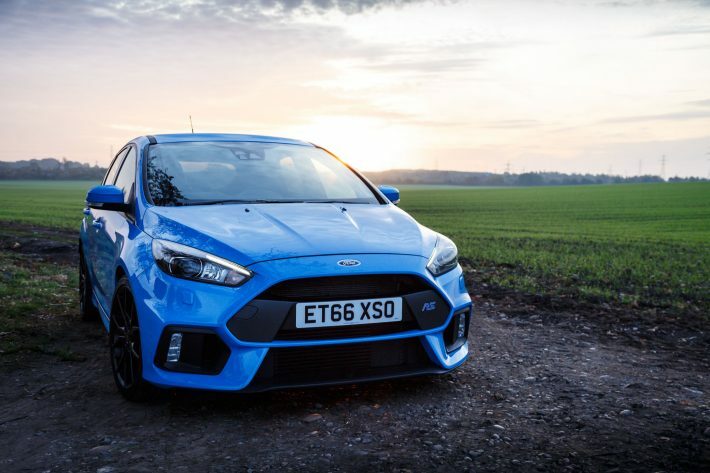 Under the bonnet, the RS has a 2.3-litre Ecoboost 4-cylinder turbocharged petrol engine. It produces 350 PS and 470 Nm of torque. All that power is managed by a nice 6-speed manual gearbox. So, you know what to expect and the RS delivers it. It’s definitely fun to drive. There’s practically no lag when you hit the gas, and the car just goes as the sound from the exhaust invades the interior when you’re in Sport mode. The gear shifting is quick, although the clutch is a bit blunt. Moreover, the turning radius is not so good, that means making an U-turn hard work. The AWD with torque vectoring makes cornering a simple job and the steering is very direct and responsive. The breaking is really good thanks to the giant Brembo breaks. There are four driving modes you can choose: the Normal mode, Sport mode, Drift mode and Track mode. 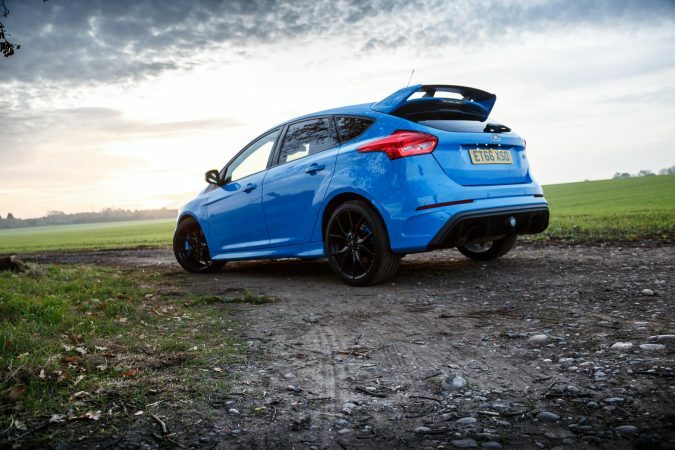 How fast does the Focus RS go? It sprints from 0-62 mph in 4.7 seconds and reaches maximum speed at 165 mph. The CO2 emission on this car is 175 g/km, and has fuel consumption combined of 36.7 mpg. This is without a doubt a 5-door track car that you can drive day-to-day in the city running errands. 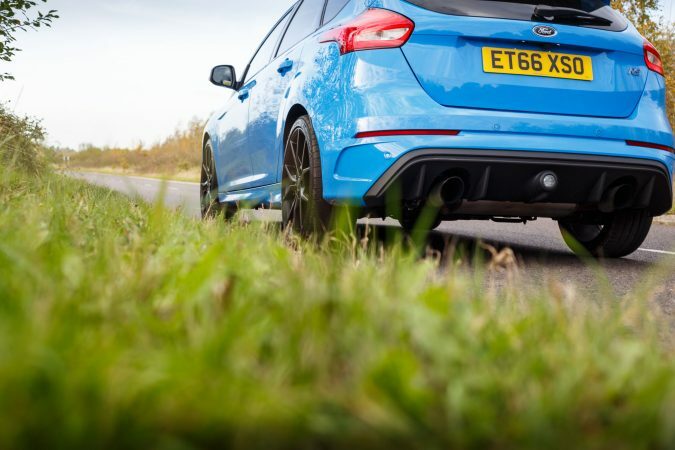 It is, however, made for high revs and high speed – but do it only on the track. 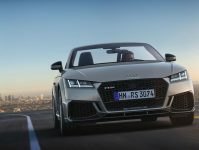 As the years goes on, it’s likely that a car like the RS will be a rare thing to see because of the prevalence of electric cars, especially models like the new Tesla Roadster. 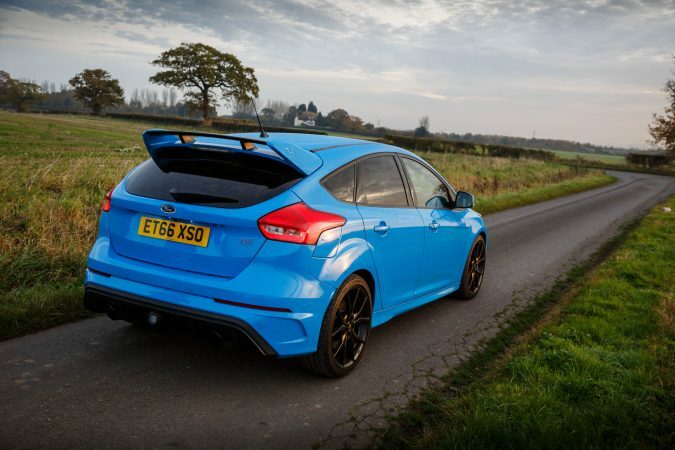 But for driving enthusiasts, the RS is still alive and flexing its muscles. For £36,545 you get a pretty good hot-hatch that’s also practical, with a modern infotainment system and honest fuel consumption on Normal mode. 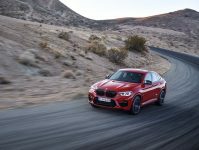 However, if you feel like it, you can take it to the track and have all the fun you can get – something a normal hatchback couldn’t do. How did you come up with that 36.7 mpg? 36.7mpg is the official combined figure for the car in the UK. Thanks for your comment.